Mission: The Missouri Acupuncturist Advisory Committee is responsible for protecting the public from unlicensed, negligent, and incompetent treatment by an acupuncturist. 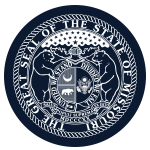 The Advisory Committee, in coordination with the Missouri State Board of Chiropractic Examiners, enforces licensure standards through the implementation of legislation and administrative regulation. Function: Applications are reviewed by the advisory committee to insure an individual is quailfied, through education and examination or certification, to provide acupuncture Missouri consumers. Complaints and corresponding investigations are reviewed by the advisory committee to determine if there is a violation of the law or regulations and make recommendations to the Missouri State Board of Chiropractic Examiners regarding complaints that warrant further action. Compensation: Advisory Committee members are eligible for reimbursement of expenses related to advisory committee business. Member Requirements: Three committee members shall be acupuncturists. Such members shall at all times be holders of licenses for the practice of acupuncture in this state; except for the members of the first committee who shall meet the requirements for licensure pursuant to sections 324.475 to 324.499. One member shall be a current board member of the Missouri State Board for Chiropractic Examiners. The remaining member shall be a public member.